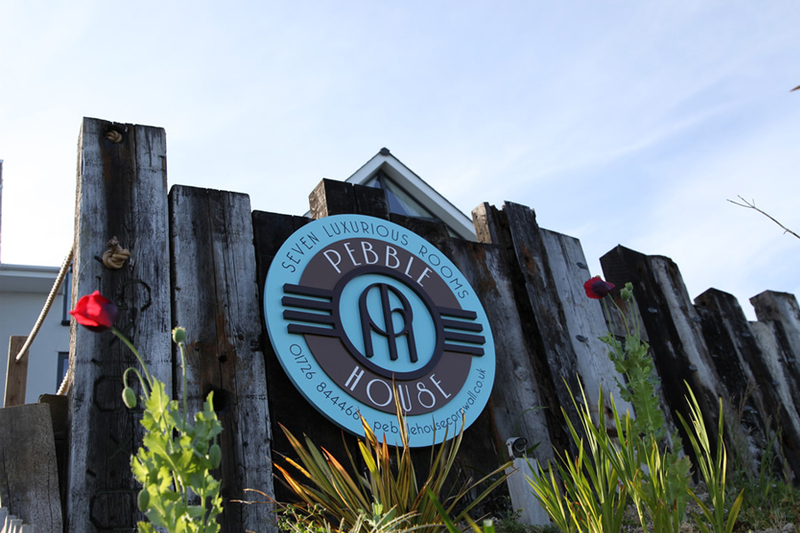 When staying at the boutique Pebble House, you don’t just get boutique bed and breakfast accommodation, you will also be provided with all the comforts of your home and a lot of the extras of being in an exclusive, discreet retreat in Cornwall, with the luxury of free parking on the premises. There are jaw-dropping 180-degree panoramic sea views, looking out over the historic Chapel Point and beyond to the Eddystone Lighthouse, whilst also being situated right on the South West Coast path for extraordinary coastal walks. 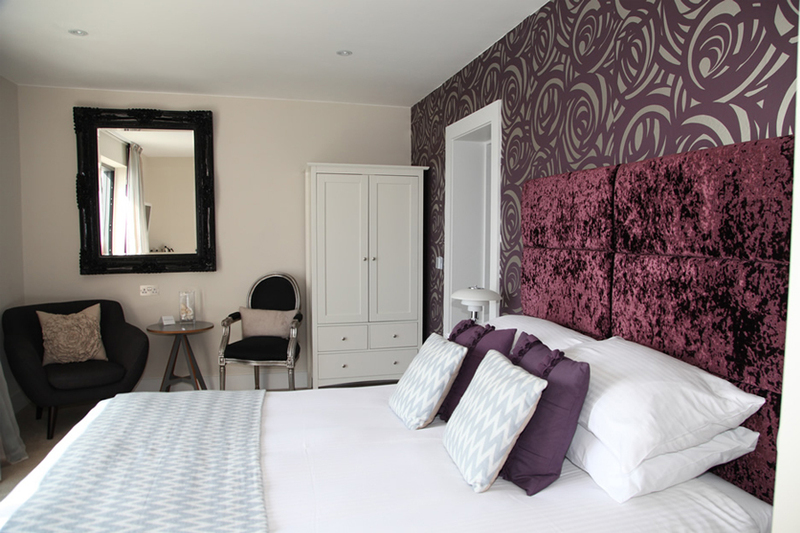 This is a chic, boutique bed and breakfast accommodation over three floors where the Guest rooms have been individually designed creating their own innovative, luxurious and stylish feel. There is one quite fabulous Luxury Suite on the ground floor with either a super king bed or twin beds and both an en-suite bathroom & shower room, a Deluxe room on first floor with a super king bed and a Luxury Suite on the top floor with either a super king bed or twin beds and en-suite bath & shower room. The spellbinding sea views can still be enjoyed from the breakfast room, the guest lounge, or, the front terrace on warmer days whilst enjoying the Award-winning and legendary breakfasts, made with local and homemade produce. 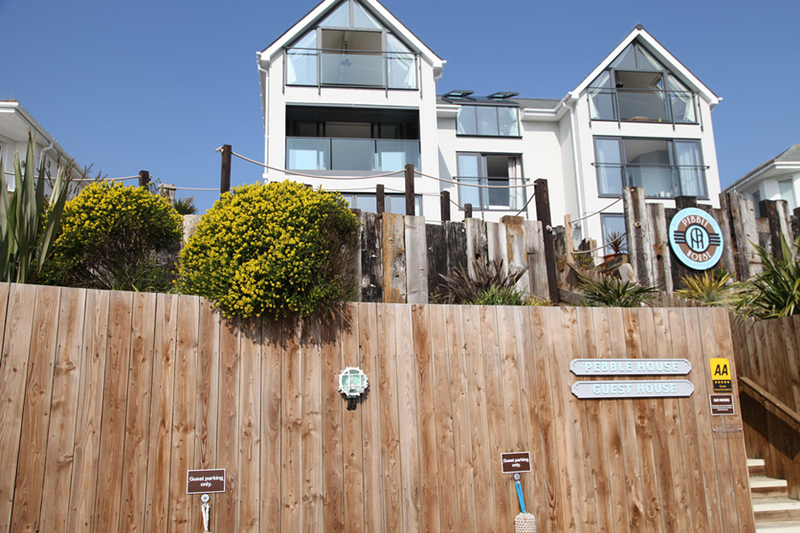 Pebble House is situated on a traditionally Cornish steep incline, with 34 steps up from the street level/parking bays to the house. It is an approximate 7-10 minute stroll from Mevagissey village, initially up a short and naturally steep incline, leading onto a flat and level road to Pebble House.